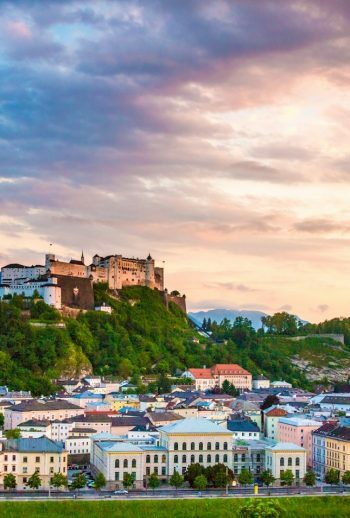 Steeped in culture and history — and graced with soaring peaks, idyllic villages, and sparkling coves — Europe has so much to offer, it may very well be the birthplace of the perfect vacation. If paddling the crystal-clear coves and biking vineyard-clad hills pique your interest, then put the Dalmatian Coast of Croatia on your radar. Retrace the footsteps of Leonardo da Vinci and Joan of Arc in the lush Loire Valley of France. See how genuinely alive the hills of the Alps are, or enjoy the tulip fields and cobblestone villages of Holland just like a local would: on a bicycle. No matter where you travel, Europe will give you more than you ever expected. If paddling the crystal-clear coves and biking vineyard-clad hills pique your interest, then put the Dalmatian Coast of Croatia on your radar. Retrace the footsteps of Leonardo da Vinci and Joan of Arc in the lush Loire Valley of France. See how genuinely alive the hills of the Alps are, or enjoy the tulip fields and cobblestone villages of Holland just like a local would: on a bicycle. No matter where you travel, Europe will give you more than you ever expected.